Texas Golden Retriever Rescue View other Golden Retrievers for adoption. 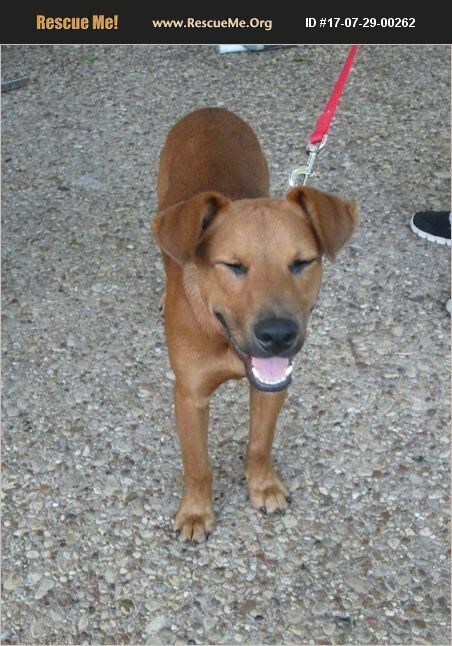 This young Golden Retriever/Boxer/Staffordshire Terrier/Lab/mix boy is sweet and playful. Rusty is one sweet little toot and available for adoption through pops legacy. He looks about seven months old but his teeth say he is about a-year-old. He is a very smart dog and learns quickly. I have already taught him how to sit and lay down. He loves to be around people but he takes time to get used to other dogs. He has been fine with the cats. I just sent his DNA off so if you would like to guess his breed or breeds, give me your thought.